We have a resident welder who can do anything from simple repairs to constructing beautiful garden gates! If you are interested in having something constructed out of steel or iron we'd be more than happy to help. 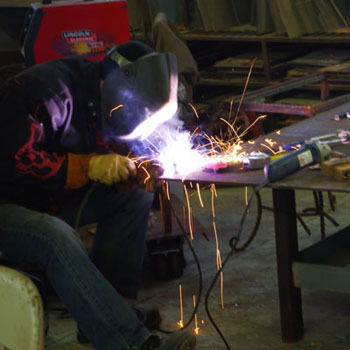 A mobile welding service is also offered in the Richmond area. Please contact us for assistance at 804-232-4175.